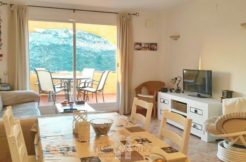 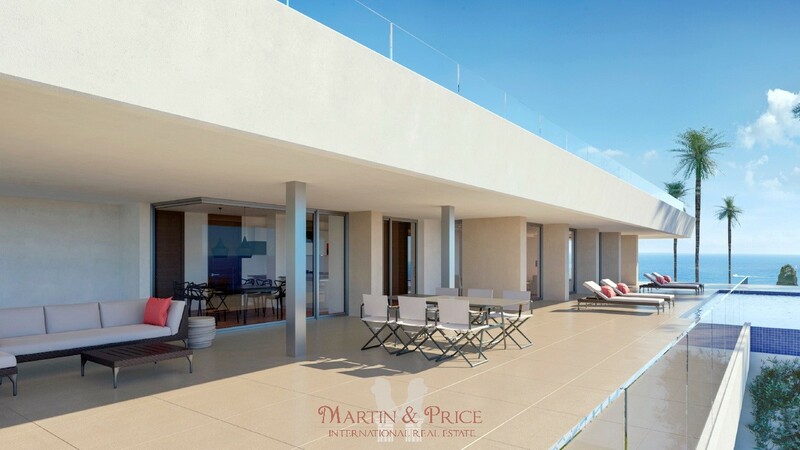 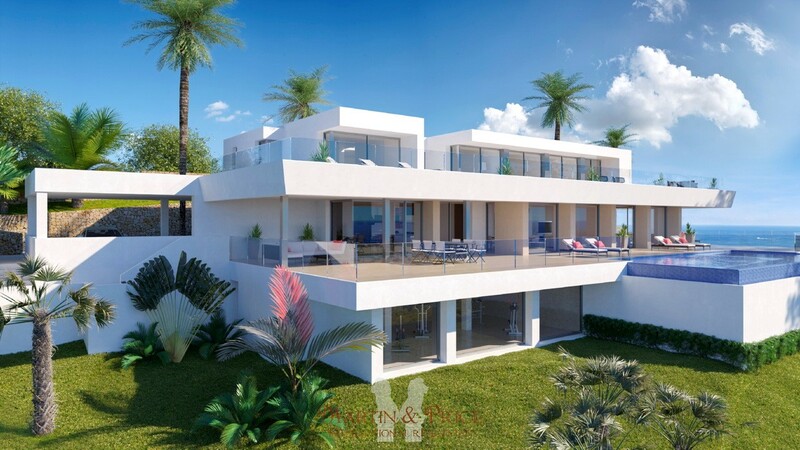 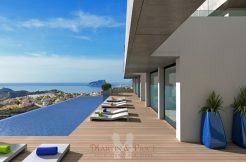 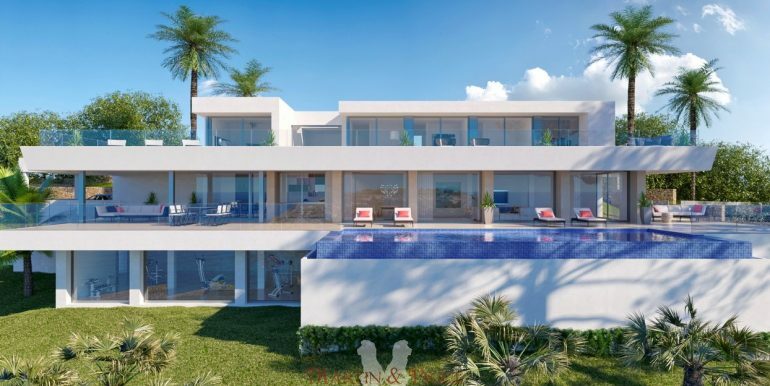 This property with enormous dimensions is located on a plot of 2,493sqm in the Cumbre del Sol urbanization, within an exclusive residential area with many luxury properties with access restricted solely to property owners. 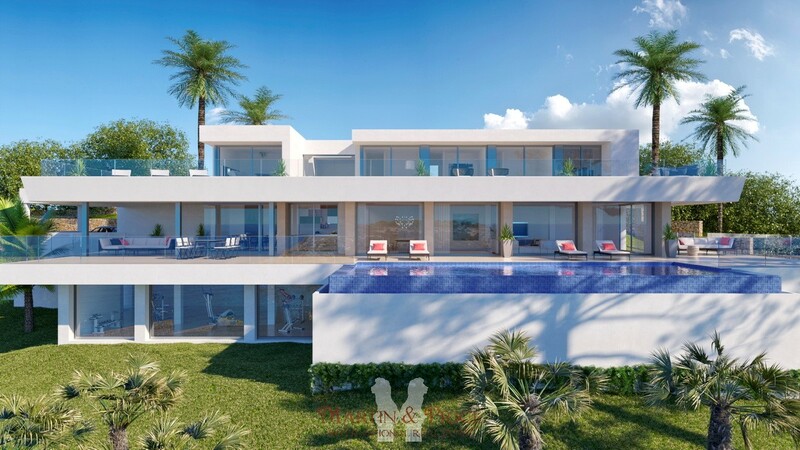 The villa is distributed over three levels with a unique and exclusive design. 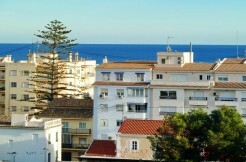 The rooms are spacious and sunny, all facing towards the Mediterranean Sea making the most of the fabulous views. 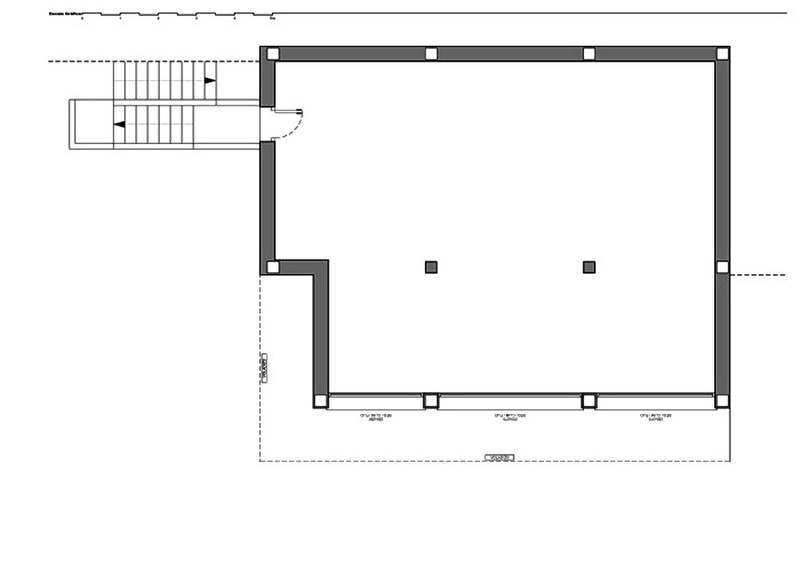 The access to the house is on the upper floor, where 5 of the total of 6 bedrooms of the house are situated. 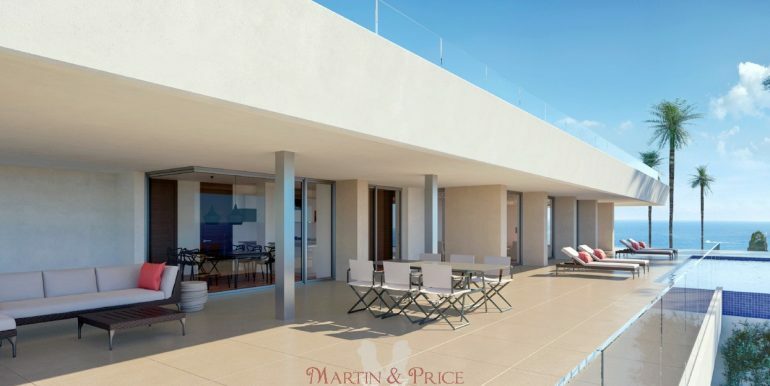 The main bedroom comprises a spacious walk-in wardrobe and an en-suite bathroom with a shower and a bath with sea views. 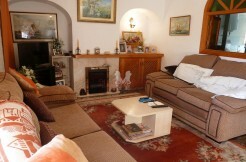 The other 4 bedrooms on this floor also have their own en-suite shower rooms and wardrobes. 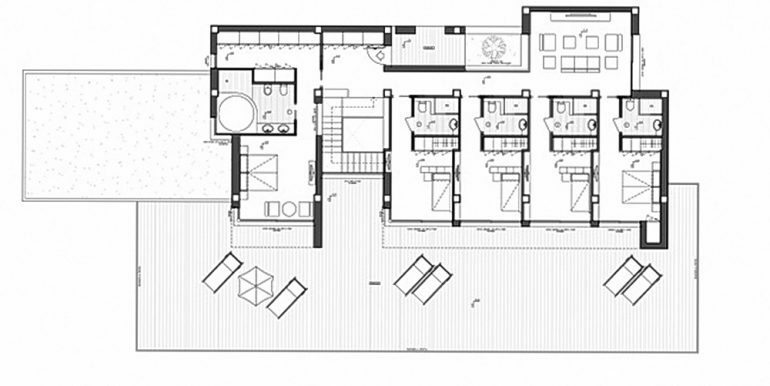 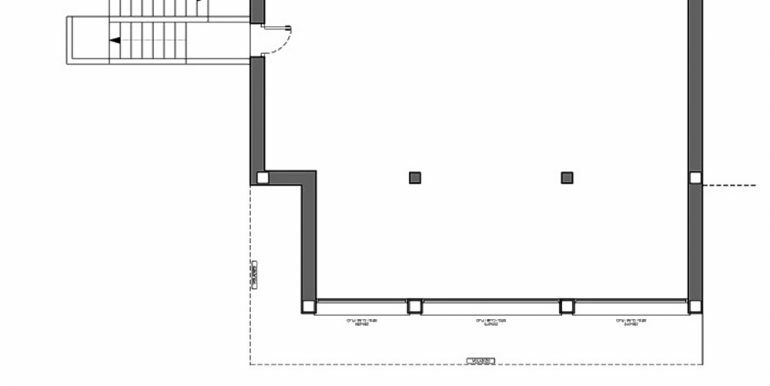 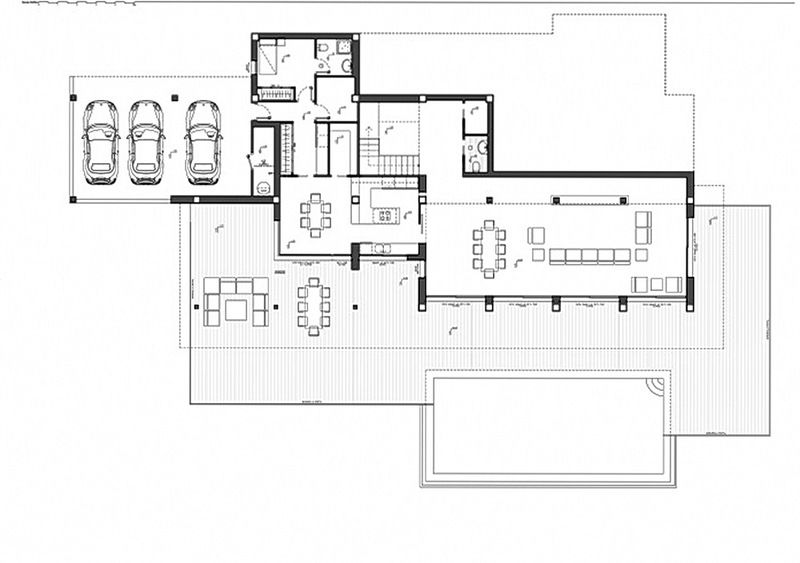 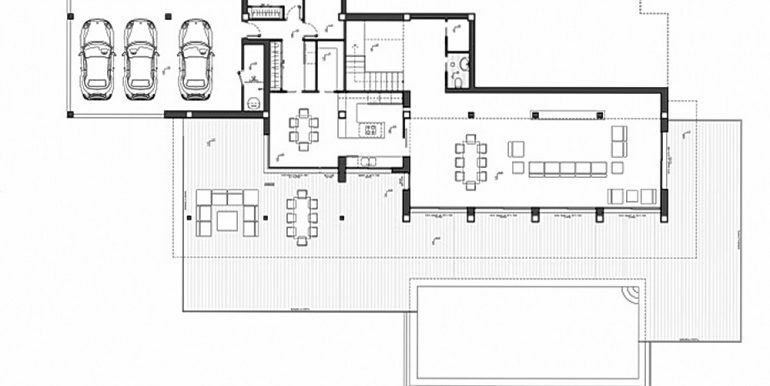 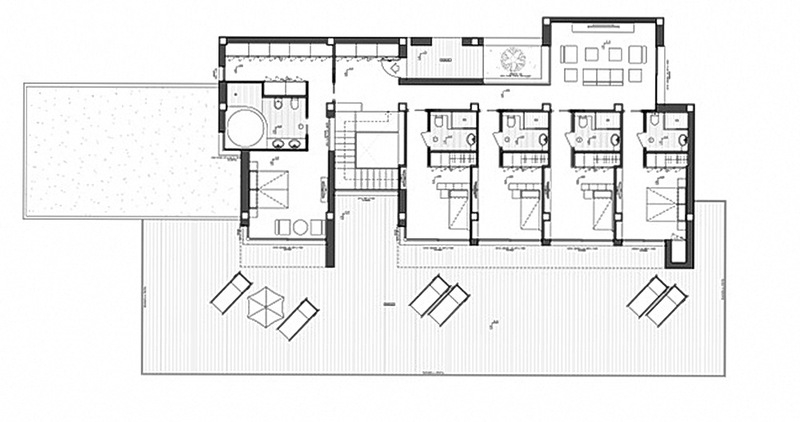 All the bedrooms have direct access to the terrace and share a communal TV room. 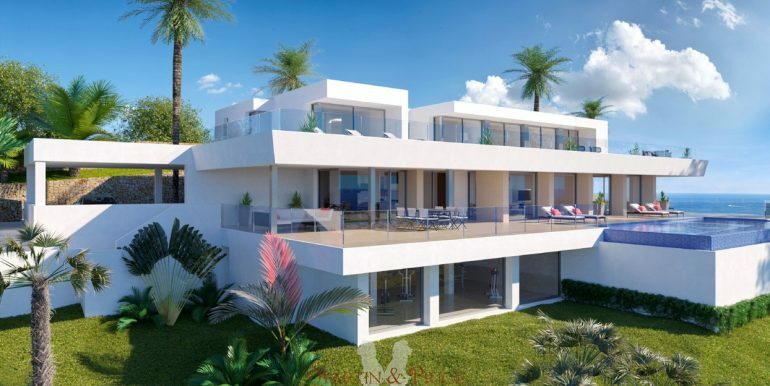 The steps guide us down to the main floor of the house, the daytime area, with a spacious living room, a kitchen with an island, a storage room, a laundry room, another bedroom with en-suite bathroom, a guest toilet and parking for 3 vehicles. 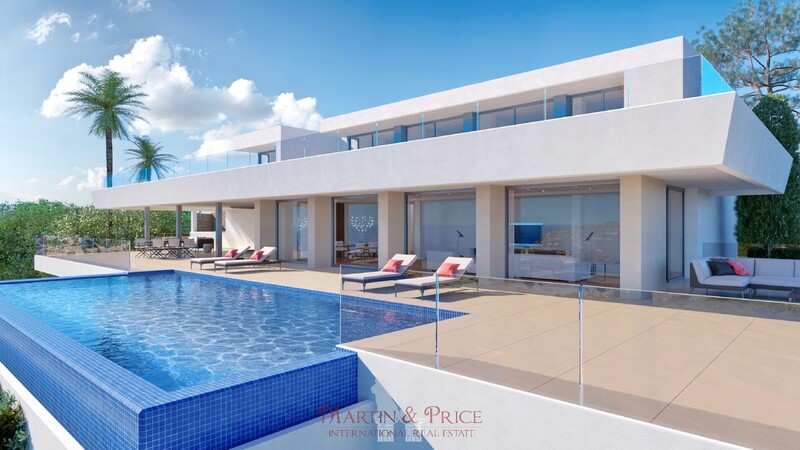 In addition, there is a large outdoor terrace to relax on and enjoy the infinity pool with 60sqm of water surface, plus a spacious veranda with an outdoor dining area and relaxation area where you can continue enjoying the uninterrupted sea views. 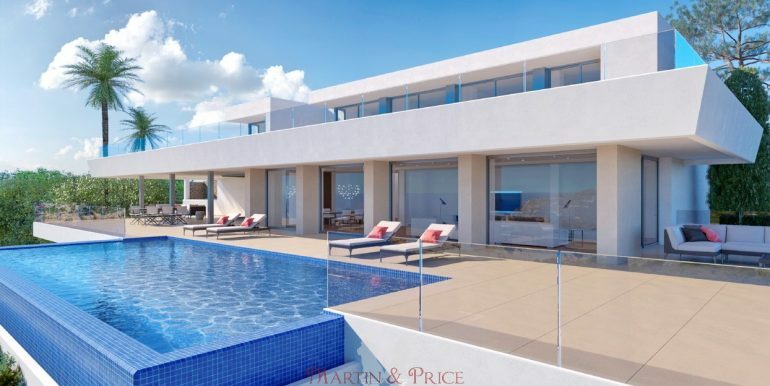 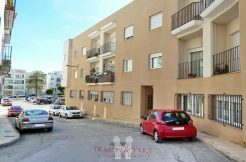 This fantastic property also contains an open plan area of over 100sqm, situated on the lowest floor, which can be finished off depending on the requirements of the purchaser.